Though Vibes were originally designed for concerts, we've found that they are helping people with Autism + Sensory Processing Disorder (SPD) in big ways. A common issue faced by this community is a low tolerance to noise - making everyday activities like going to the grocery store or taking public transportation unbearable. Unlike traditional foam earplugs and bulky headphones that muffle sounds, Vibes allow people with sensitive hearing to lower the volume of their environment to more comfortable levels while still being able to hear everything around them clearly, including speech. With Vibes, those with Autism + sensitive hearing can enjoy activities that would otherwise feel uncomfortably loud, while still being able to engage in conversations and hear everything clearly. 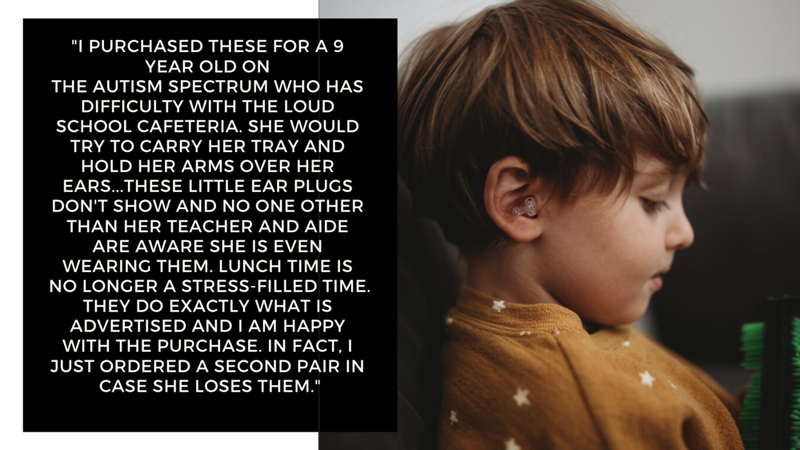 Read more about what people are saying about Vibes Hi-Fidelity Earplugs for Autism and Sensory Processing Disorder here.